The Jefferson Highway Association came into existence in 1915 and the initial routing was conceived between Winnipeg and New Orleans by 1916. 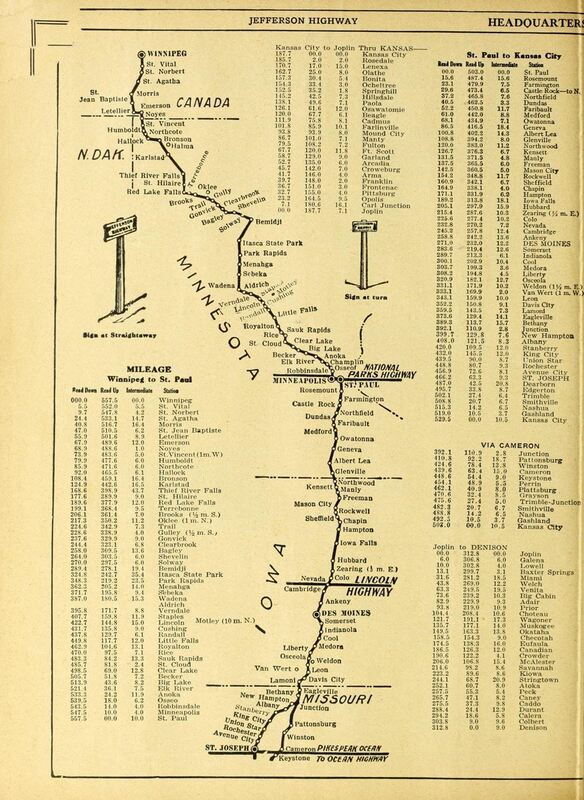 The "route" meant that key cities and states were defined by 1916, but the actual roadways connecting those cities were not. The actual driving route was developed over time, and it changed a lot over the next decade. This is the first reason that it is difficult (make that impossible) to define a single route that was the Jefferson Highway. A second problem is that there wasn't even a single route at any point in time. Rather than making a difficult decision choosing one potential route over another, the JHA (and many other highway associations of the time) just arbitrarily created multiple routes rather than choosing one best alternative. So for example, the Jefferson Highway takes three different routes from Joplin, Missouri to Kansas City, Missouri - two through the state of Kansas and one through Missouri. 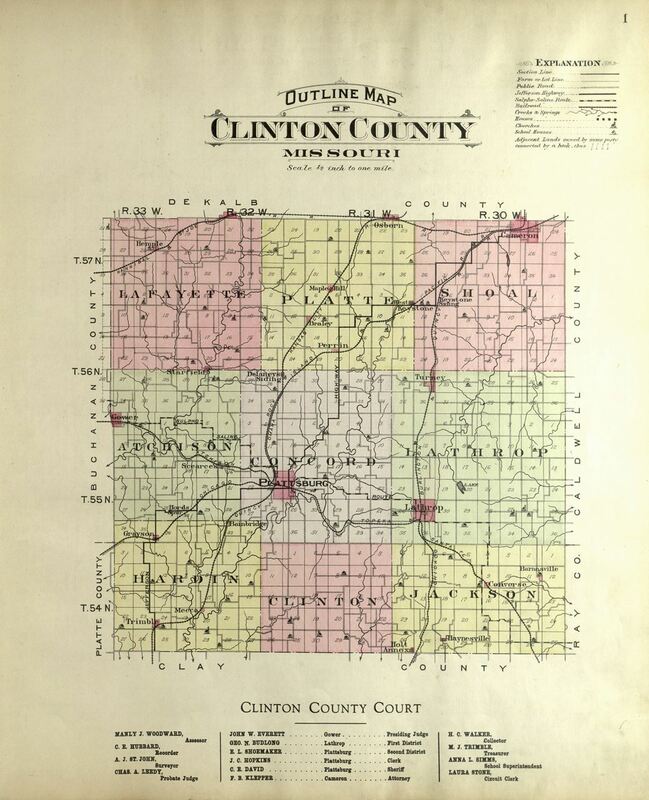 There are several cases like this, including adding a route through the state of Arkansas as a late add-on. The term "highway" meant something very different a hundred years ago than it does today. A highway was an improved road, meaning anything from dirt to macadam to (in very rare cases) paving. Most of the time it was only "improved" during dry weather. Rain was not your friend. Importantly, significant sections of the original Jefferson Highway remain unpaved today. You may want to consider alternative routing in those cases, especially if you are driving a classic car with a $15,000 paint job. The original Jefferson Highway doesn't even exist in many areas, having been replaced or bypassed by Interstate highways. 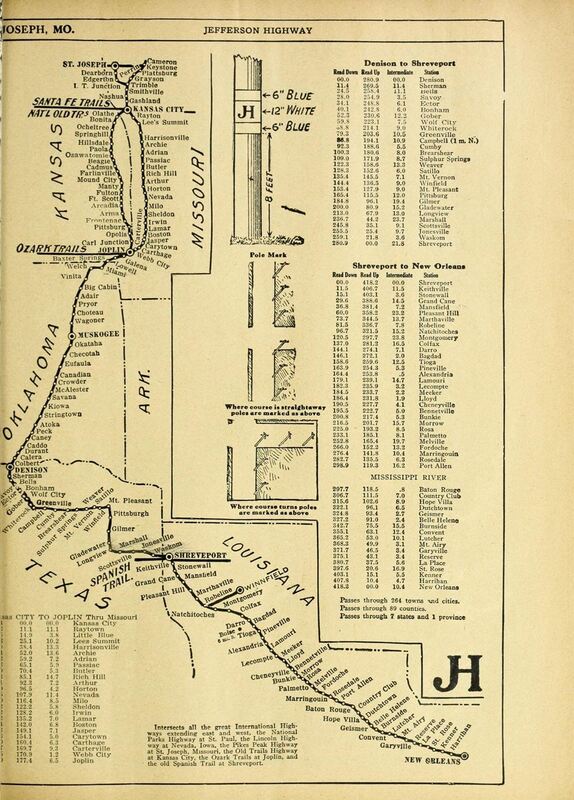 On the other hand, the original JH became the basis for parts of the U.S. Highway System established in 1926. Anyone creating a drivable map of the Jefferson Highway today is faced with hundreds of arbitrary decisions about how to connect these orphaned sections of the road together. 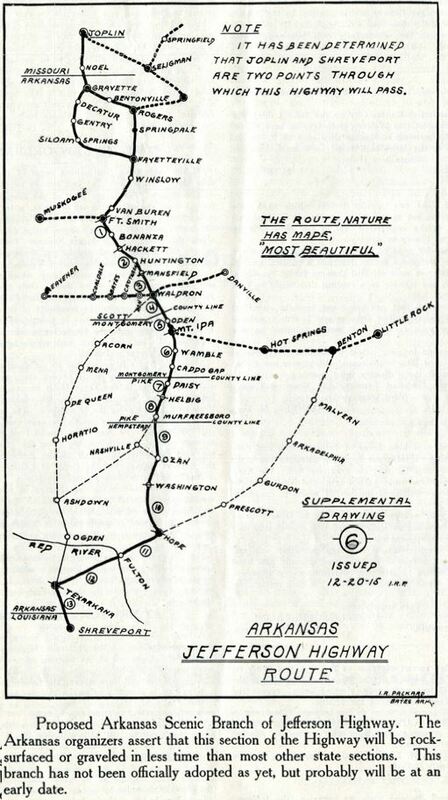 The bottom line is that the official Jefferson Highway map shown below is at best a rough approximation of what and where the original roadway ran. The same is true for the other alternative maps shown below. So with these disclaimers in mind, the official Jefferson Highway map can be seen here: Jefferson Highway Map. We need VOLUNTEERS! Would YOU like to help map the Jefferson Highway in your state? Or just your neighborhood? We need volunteers from all states (and province) to help. Email Glenn Smith or David Stearns, the board member who is coordinating our efforts.